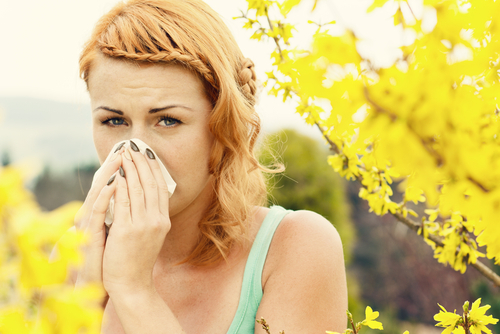 Chronic allergy sufferers know that mountain cedar is prevalent during the winter months, oak during the spring, grass during the summer and ragweed during the fall. Every year, there seem to be new products on the market to help alleviate their allergy symptoms, but it is a hard task for researchers to get all of their work completed when they have a small window of time and are dependent on nature. Until recently, researchers waited until the natural season of an allergen to study its effect on the general population. A group of doctors is changing that methodology, with the opening of a unique testing facility in San Antonio — known to be one of the worst places for allergies. The Biogenics Research Chamber is a facility where researchers can study the effects of many different types of allergens year round, regardless of their natural season. Designed to conduct allergic and non-allergic exposure studies in a controlled environment that utilizes clean room technology, it is the only large permanent allergen exposure chamber in the United States. Dr. Robert L. Jacobs, Dr. Daniel A. Ramirez and Dr. Charles P. Andrews are the owners and Principal Investigators of this testing facility, which has been validated for four pollens and for dust mites. Here, proof of concept, dose-ranging, and onset of action studies are performed for pharmaceutical and vaccine trials, whereas academic studies are performed to discover the basic immunologic mechanisms associated with allergic disorders. Essentially, researchers are able to take a group of participants who are allergic to a specific allergen, place them in an exposure chamber and study the effectiveness of a new treatment being developed by a pharmaceutical company. Currently, Diagnostics Research Group (an independent clinical research site located in the South Texas Medical Center in San Antonio) and Biogenics Research Group are collaborating on a study testing people who are allergic to ragweed. Participants need to be 18 years or older and have eye redness associated with ragweed allergies. Qualified participants may receive study-related medication, a study-related physical and eye exam at no cost and compensation up to $1,500. Those interested in participating in the study can find out if they qualify by calling Diagnostics Research Group at 210-692-7157 to schedule a free skin test or visit their website for more information.